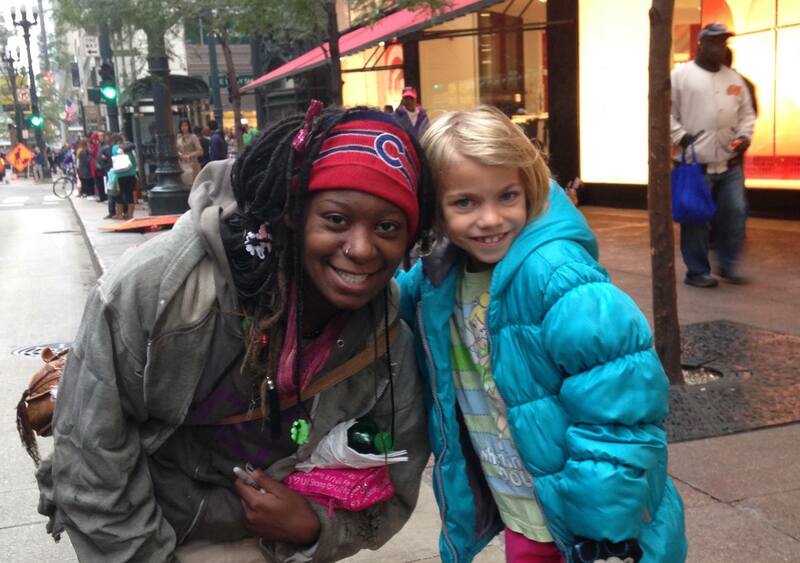 Mary was hoping to collect 800 pairs of socks to give to the homeless in Chicago this winter. 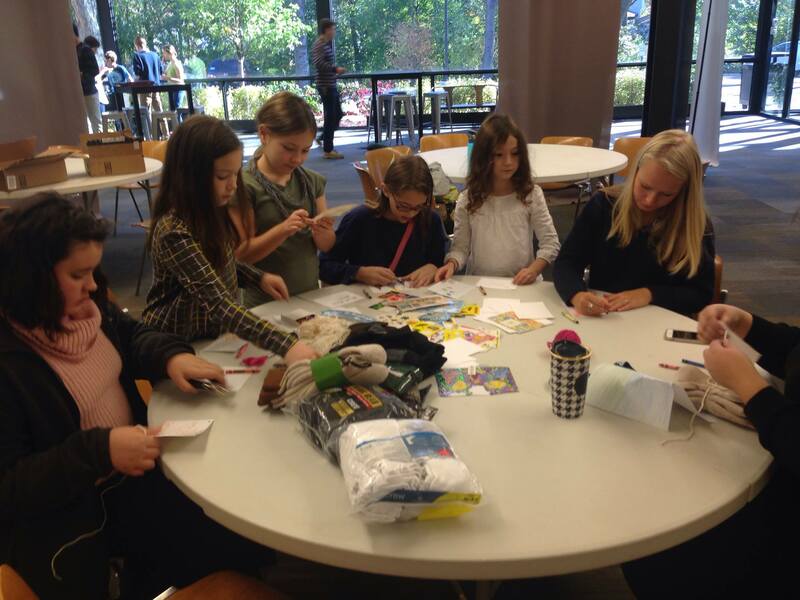 So far, she has received 1370 pairs of socks! In the video Mary refers to her friend Sparkles. Here is a picture of them. They met the very first night Mary went downtown when she was 5 years old. It’s not hard for Mary to be a World Changer because she isn’t thinking about facts and numbers. She is remembering real people that she actually talks to. She is thinking about their cold, wet feet. She loves them because she knows them. 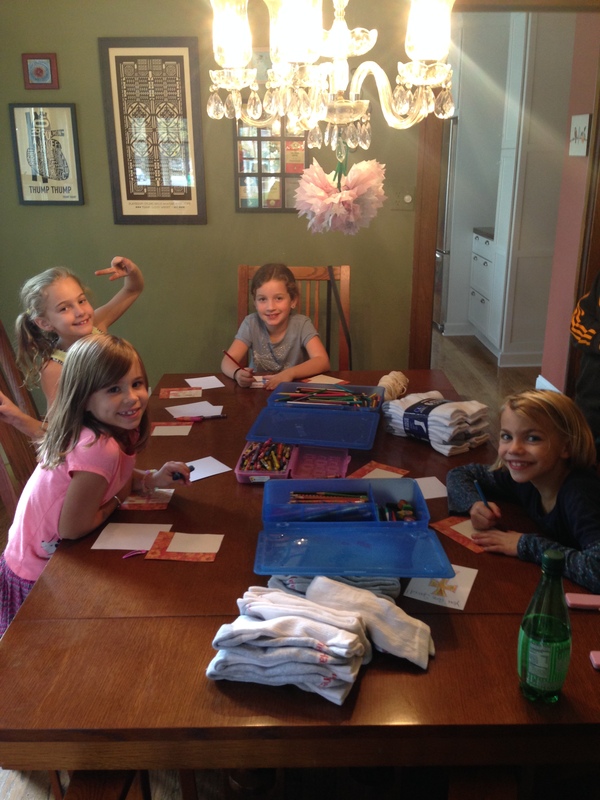 Mary and her friends are writing notes to go in each pair of socks. They aren’t just going to drive by and toss them out the window. They are going to hand out the socks and look everyone in the eye. They are going to connect. 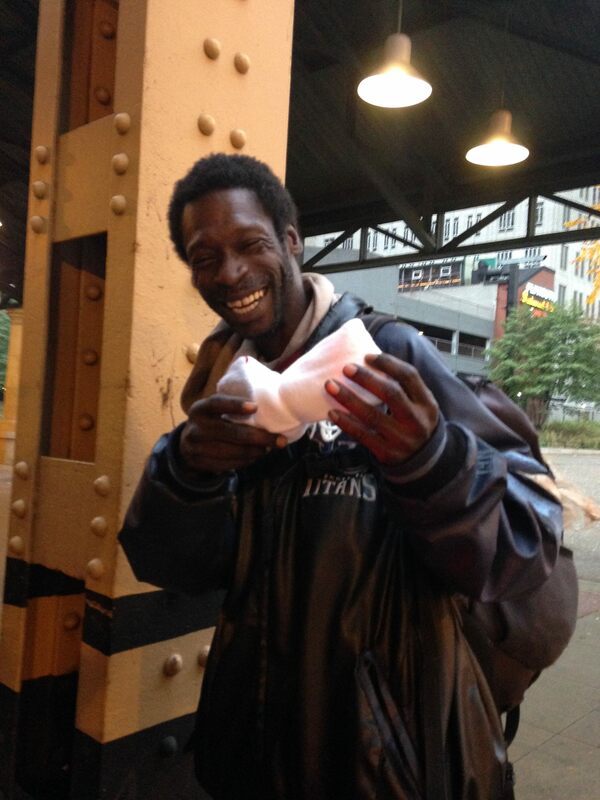 If you would like to help Mary get 2000 pairs of socks for the homeless in Chicago by 10/31/15 please email me at familycompassionfocus.com – I will send you an address and instructions. Here is an amazon link for socks Mary and her Mom have picked out. But any thick socks will do. Carry snacks or $5 gift cards with when walking in heavily populated areas. Carry socks in your car in your car to share. If you have any old purses, put in some tissue, chapstick, hand wipes, feminine hygiene, and perhaps some beauty items. Keep them in your car to share. If you don’t have anything to give, or are just caught unawares, you can always stop and talk with a homeless person. The vast, overwhelming majority are NOT criminals or dangerous. Ask them how they are doing. Hear their story. If you are able, take them someplace warm for a cup of coffee. I will keep you posted on Mary’s final count. It’s going to be great! Lord, thank you for Mary! You are shaping a tender, strong, beautiful, inspiring World Changer in this 7 year old girl. She is inspiring and teaching us. Please soften our hearts to see and hear the people you put in our paths. Thank you for your mercy and grace. Amen.